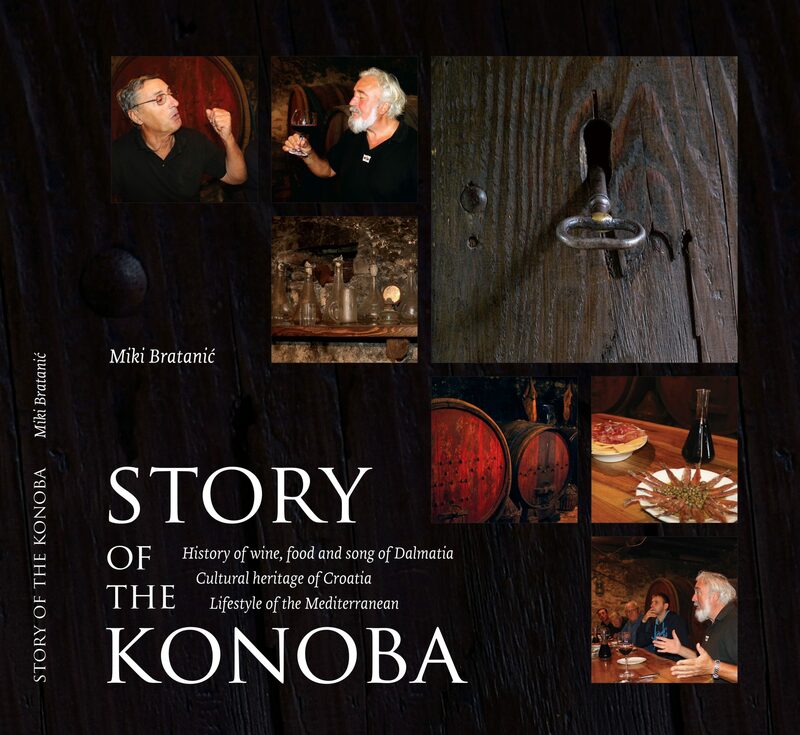 The man who has the first and only konoba in Croatia with Croatian protected cultural heritage status talked about his experiences in the United States where he has been presenting the first ever book dedicated to the konoba. 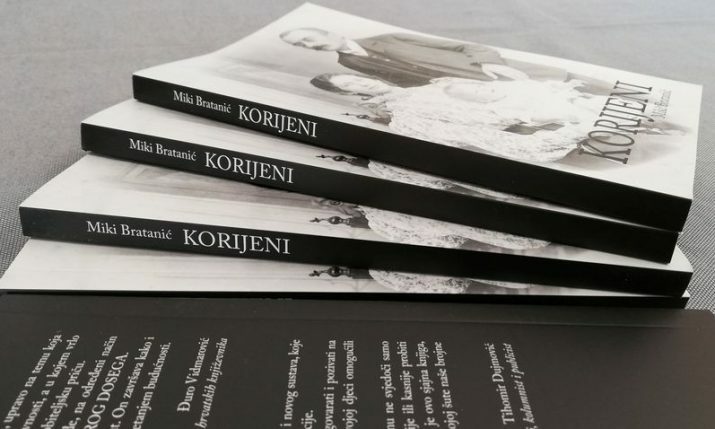 Miki Bratanić, who is the owner of a traditional Dalmatian konoba, or wine cellar, in Vrbanj on the island of Hvar, is the author “The Story of the Konoba”. He has taken the book a couple of times now on tour to North America. 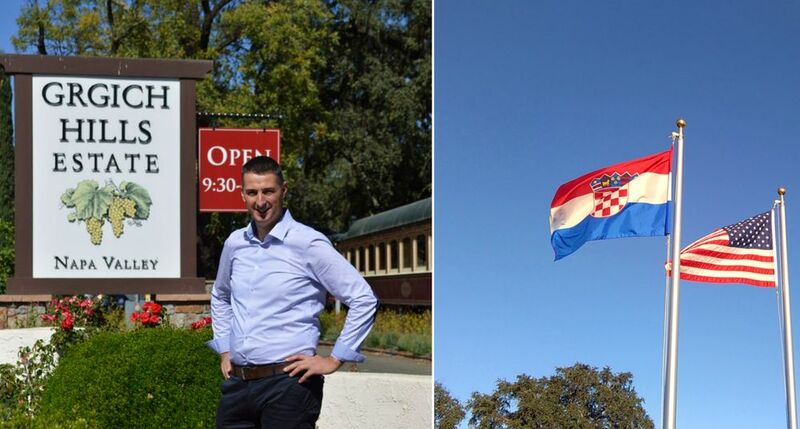 ‘California is heaven on earth’, Professor Šerman whispered to his students at the Agronomy Faculty in Zagreb in the 1950s, not knowing that it would encourage Miljenko Grgić on the trip of his life travel to life. 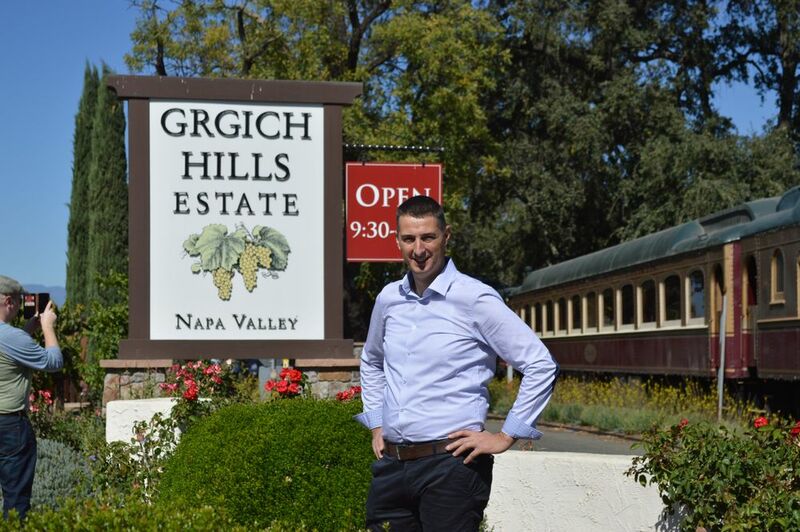 From the then Yugoslavia, the young enologist with thirty dollars sewn into his shoe, Grgić crossed the border into Germany, and later across Canada to that ‘heaven of earth’ in California. Everything else is history. Throughout my life, this path was my ideal and goal. On that same route through Zagreb, Frankfurt in Germany, and Canada’s airspace, I landed in San Francisco, California, with my wife. There, we met our ‘kumovi’ (best man) from Vancouver, hired one of the typical big American cars and then driving through Golden Gate we headed to the most famous wine valley, the Napa River, where we settled into a small hotel in the town of Vallejo, formerly the capital of California. 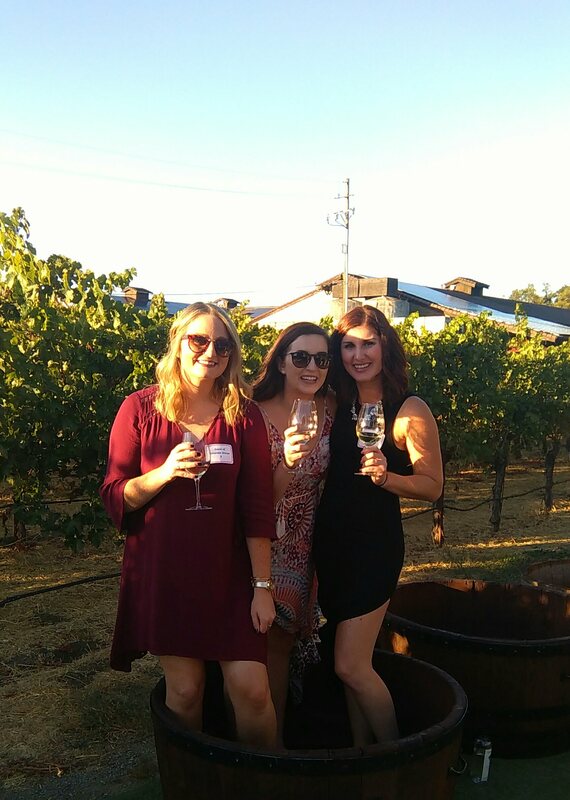 It was an ideal three-day start, after a rich American breakfast, touring the wine roads, the road of St. Helena north across the city of Napa, Yountville, Oakville, Rutherford, Zinfandel, Holy Helene, and all the way to Calistoga. On the first day, after fried bacon, eggs and sausage, and the obligatory fat pancakes with various dense syrups, we headed north. Before the immediate encounter with the spacious vineyards that occupy either side of Route 29, we saw on a small hill on its right, as a sign or a reminder, a monument to a winemaker; A figure of a powerful man hanging in an old wine press. It is clear that this is at the center of all man’s work. In the air, an intense smell of young wine (must) was felt, and then adorned with reddish colors of the sun and morning roses, it began to point to the anticipated scenes of vast, beautifully-decorated vineyards with clearly visible inscriptions of their owners, mostly famous wineries whose outlines are already remotely distant. 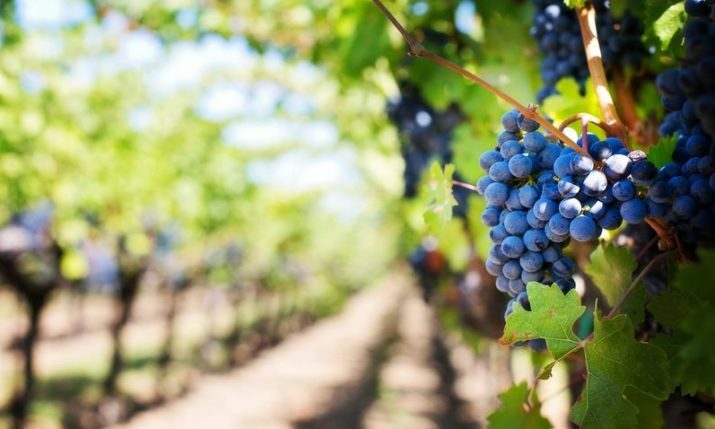 The railroad tracks follow this wine trail and they run a daily “wine train”, a famous attraction that drives tourists from wineries to wineries, tasting wine and gastronomic delicacies. 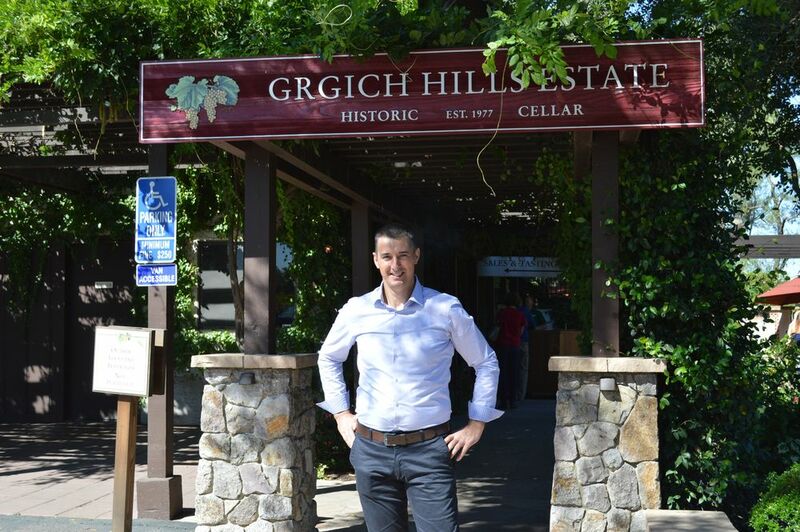 Our primary destination was Grgić Winery, or Grgich Hills Estate, located just along the road in Rutherford, in the center of the valley, where the author of this text was to present his book ‘The Story of the Konoba’. 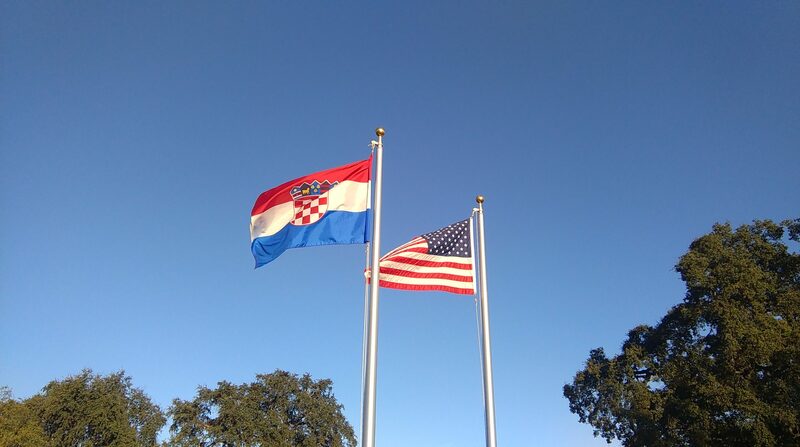 An American flag flys together with a Croatian flag at the front of the winery which houses varieties of Sauvignon Blanc, Chardonnay, Zinfandel, Petite Sirah, Cabernet Franc, Merlot, Petit Verdot and Cabernet Sauvignon. There is also a rose tree planted in front of the small vineyard. 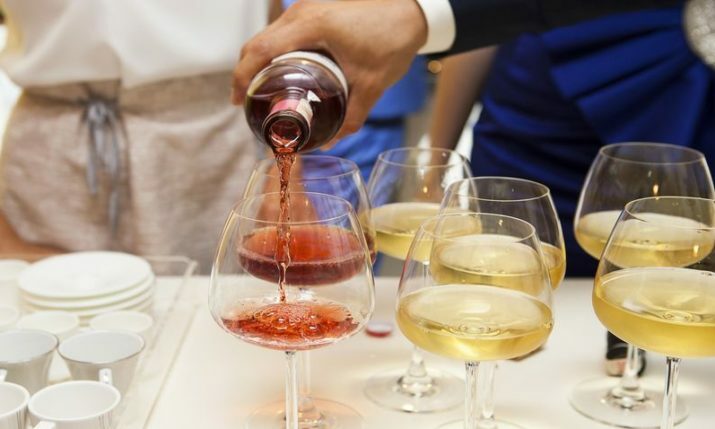 On the big lawn, everything was ready for the annual gala dinner of the members of the wine club, and the Stomping Grapes Festival or Grapefruit Festival had already begun. In wooden buckets, cute girls crushed black grapes and then made an imprint with their foot on a white t-shirt with the words “I STOMPED!” This year was the Grgić family anniversary, because it was exactly 40 years ago in 1976 in Paris at a famous blind judging of California and French wines that were run by French enolos and sommeliers, Chardonnay Miljenko Grgić, who then worked as an oenologist at the famous Chateau Montelena winery, won a gold medal and thus turned the history of the world wine market. 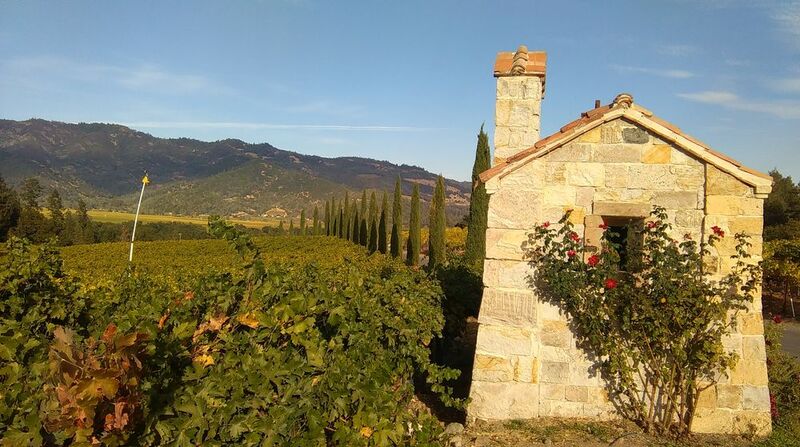 Along with the glass of Zinfandel and Chardonnay, the time passes quickly, so the sun has already reddened a good part of the vineyard. We are joined by the biggest living winemaker, a man of childhood smiles, full of life although he is 93. 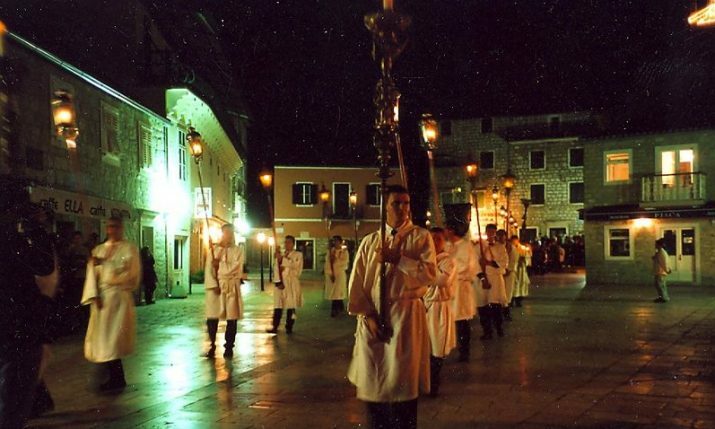 Miljenko Mike Grgić. 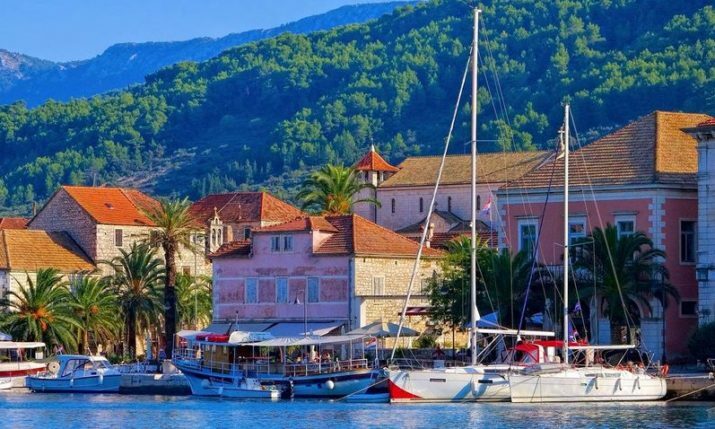 Croatia, he says, is always in his heart. 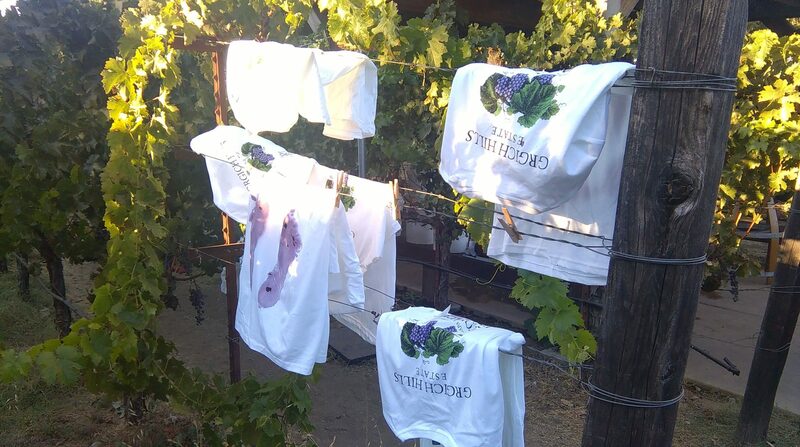 And Mike created a miracle; Not just his top wines, but also the large, beautiful property that daily visits and sightseeing guests listen to and try history. 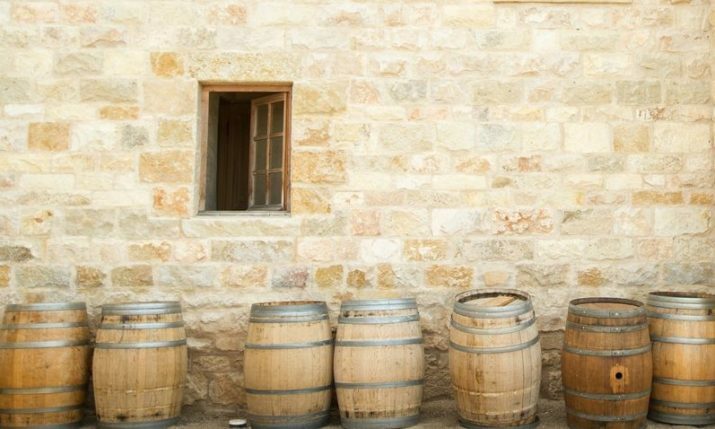 The book, “A glass full of miracles”, is his biography, life span, and collection of many moments that have determined the world history of wine. It was a great honor to get a present of this book, and in turn give my two books related to the konoba, for which I had found myself in this paradise. 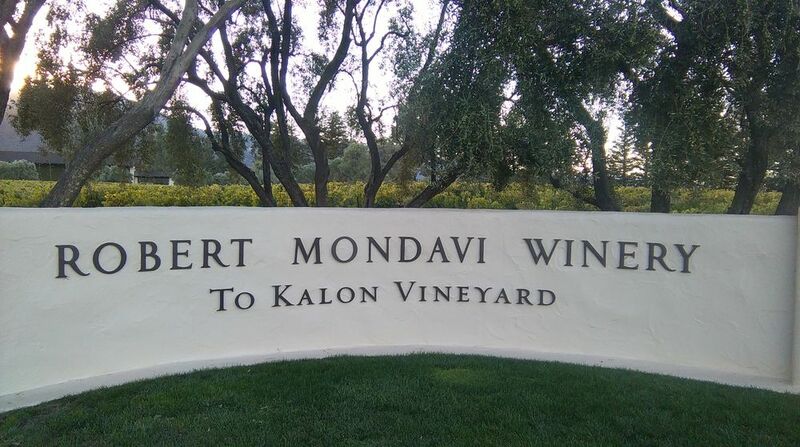 For the next two days, we continued on the same route, visiting among others two cult wineries, Robert Mondavi, the founder of the Napa Valley winemaking, and the teacher of the winemakers at that time, and Chateau Montelena, a beautiful winery in which he worked and created his golden Chardonnay Miljenko Grgić. 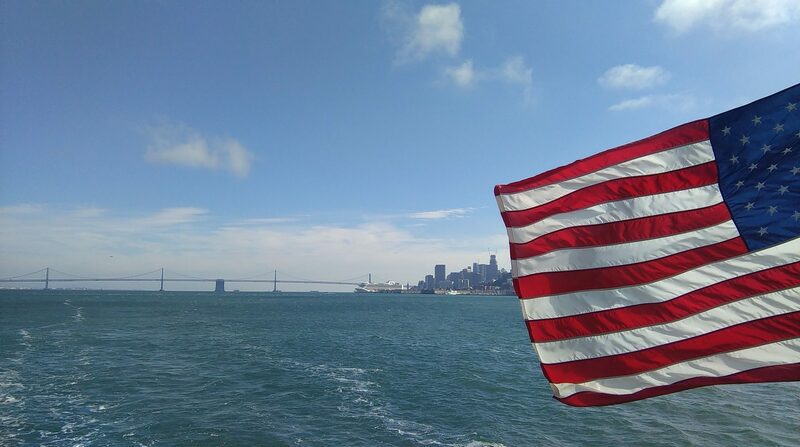 Before parting ways with our ‘kumovi’, who had to return to Canada, we visited Alcatraz on our return to San Francisco. 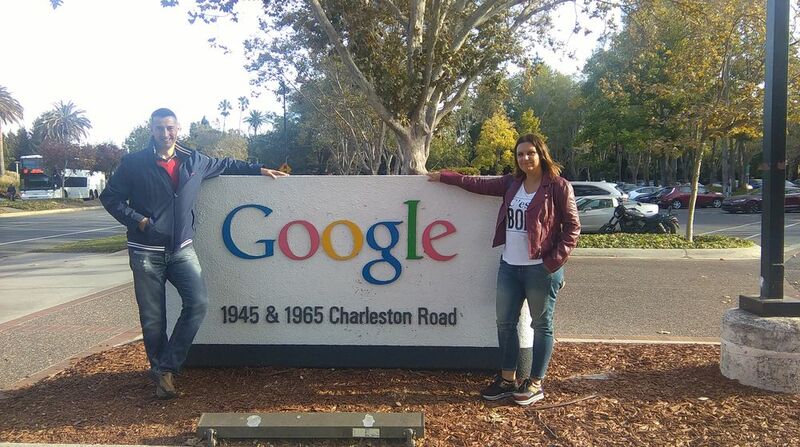 Our next destination was another Valley, Silicon Valley. 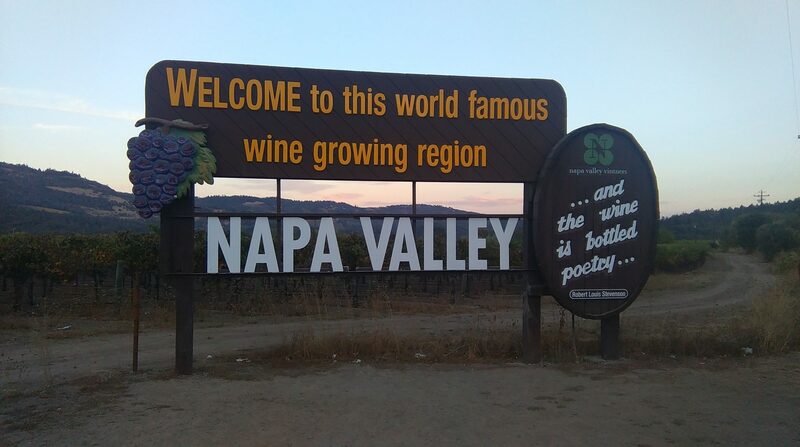 Only apparently different from the Napa Valley, but actually equally a worldwide wonder, which was created exclusively by enormous human work, enthusiasm, perseverance, love and desire for progress. Instead of vineyards along the road on Route 101, there are technological parks where their administrative buildings and research labs were planted by Facebook, Apple, Google, Oracle, Intel and many other giants of information technology. 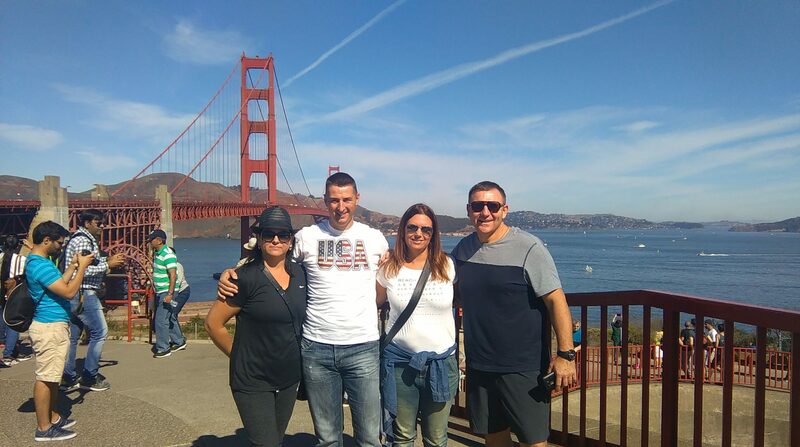 We are located in the heart of the Silicon Valley in San Jose with the married couple Podolski, Marion and Zdravko, who have been coming to Croatia on my island Hvar for a long time and have in some ways become “locals”. 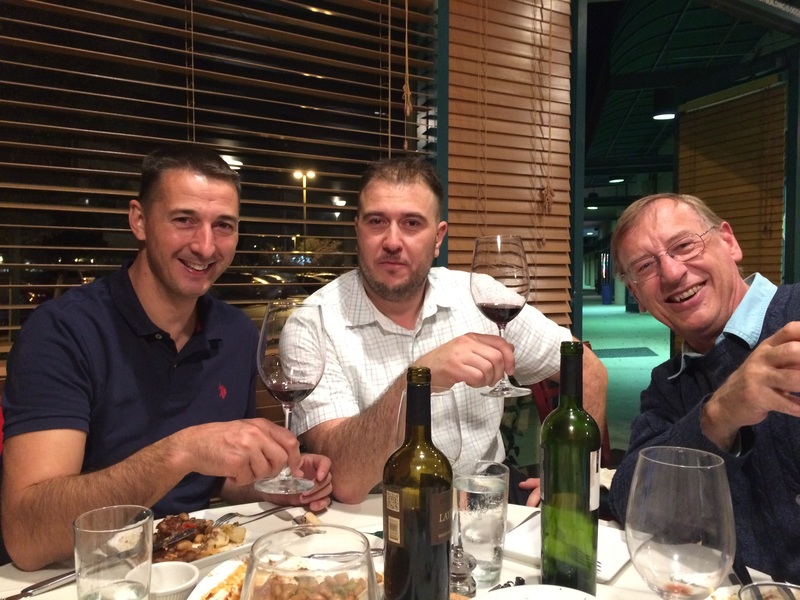 They are true lovers of cultural heritage, top wine lovers, bloggers, and Zdravko is, by the way, a pilot who was until recently the owner of a flying school. His pilot experience and a small aircraft of his former school have just led us to the most exciting journey between the two valleys. We left San Jose on a beautiful sunny day, making a circle around the heights of the technology giants and headed toward San Francisco by constantly snapping the camera to the left and right. 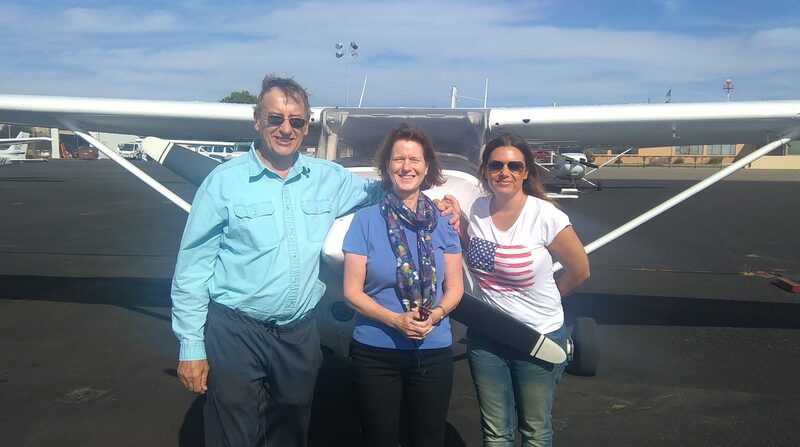 Crossing over the Golden Gate Bridge and Alcatraz is a special experience, as it is particularly interesting to feel and experience a reunion with the Napa Valley, this time from the air. Everything from the air has a different dimension, more visible, more superior, more exciting. 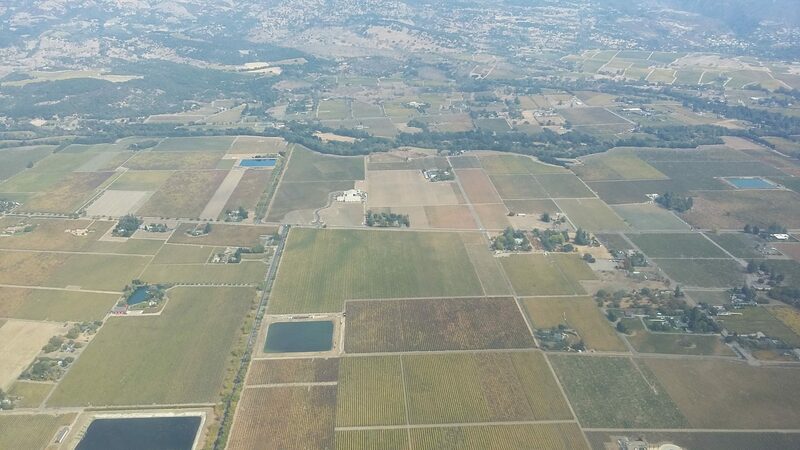 We landed at a small airport in Napa, had lunch and headed back on another route across the San Francisco docks to San Jose. 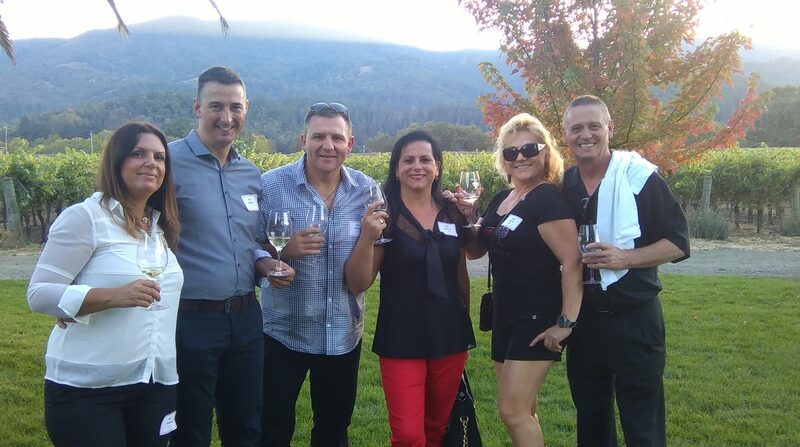 The world is small and I have been convinced of that many times, especially the day when we went to dinner at the Flight Restaurant in Cupertino, just next to Apple Headquarters and there we met Ivan, the owner who came from Hvar. We talked about home in our pure native dialect over selected dishes and top world wines and some homemade ones too. And then, after the two valleys, it came time for the big city. 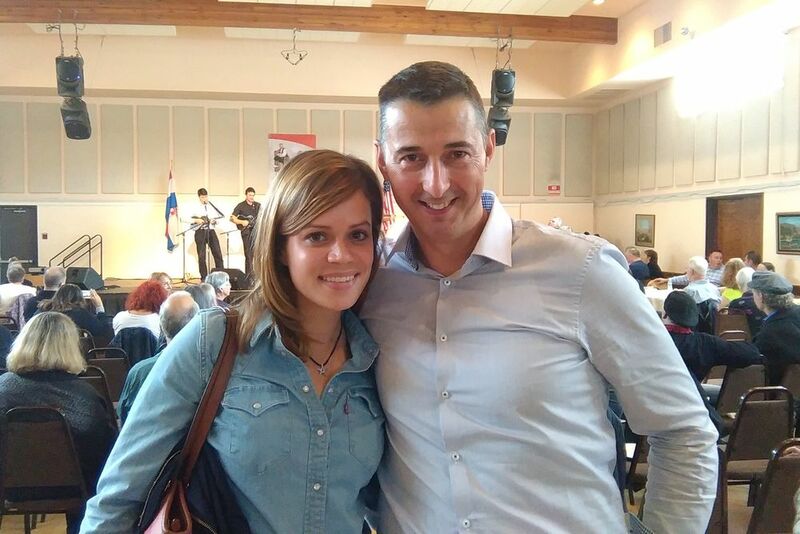 The last three days in San Francisco were a kind of link between the two valleys in which the author of this text appeared at the Croatian Heritage Festival, held at the Croatian American Cultural Center, again with his story about the konoba. I remembered an elder lady describing with fervor how her grandfather had a konoba “right here behind the corner” that the Dalmatians and other people would stop by at. There are many of our people in this part of the world. They have emigrated through generations as fishermen, landlords, workers, caterers, but also highly educated people in various professions. All of them have somehow built this land. And although today it is challenging to live in, considering the pace of life is fast and the distance is great, yet it they still try to maintain customs and culture through various gatherings and events. 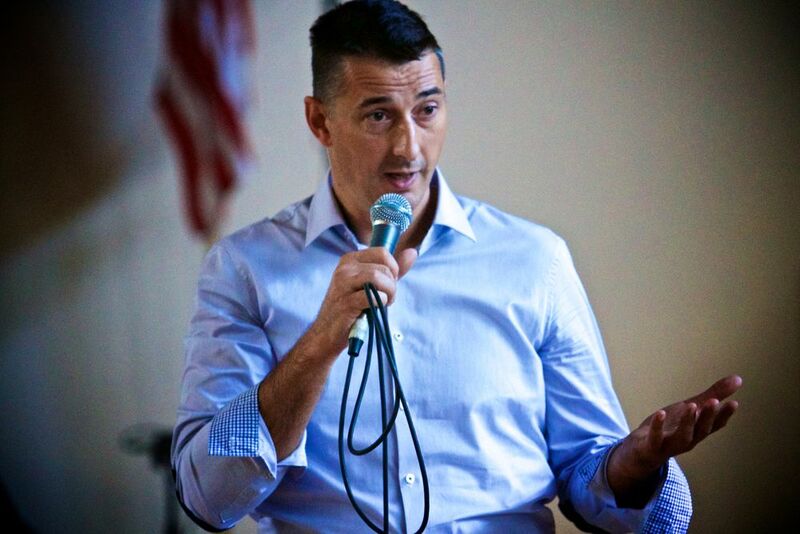 Our host was Nenad Baračkov, a marathon swimmer with a big heart who everyone in the city knows all about his openness and sociability. Nenad swims in the ocean every day, no matter what time of the year and the sea temperature is not always pleasant, and currents are not favorable, which we are convinced by his power watching him from the famous country house “Cliff House” above the large rocks that break the ocean waves, and close to the Chinese beach on where our host is swimming every day. San Francisco is a world in itself. A city of diversity, steep streets, ocean scents, world jet set creams, and a rich fishing tradition. This fishing tradition has attracted us to the city docks or as they call it “Piers” and a part called “Fisherman’s wharf”, where fishing boats are still attached, even for tourist purposes, to try the sweet seafood and enjoy the view of the bay. Every journey is a new wealth, and we came back from this trip enriched not only with meetings with beautiful places, but with new acquaintances and friendships, and with the knowledge of what is and how it comes to it, but above all with the understanding that always at the center of everything is actually man and his work.